Good build quality USB cable made to highest spec. Length: 5m. Connectors: 4pin USB Type A-male to 5pin USB Type B Mini-male. Our USB Cables are a high quality shielded 28awg Cable. They are 4mm thick. Red and white cables are used for stereo audio and the yellow for video. 1x AV cable. Specifically designed to provide the sharpest video and sound for your PlayStation gaming systems. One standard play station connector. Audio left and right (White and Red). Color :Black. Connectors: 4pin USB Type A-male to 5pin USB Type B Mini-male. 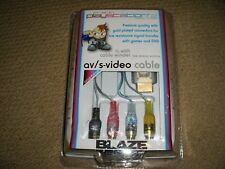 This is the Component HDTV AV High Definition AV Cable for Playstation 2 & 3. 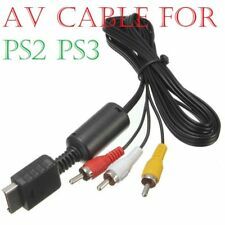 > This Component AV cable is exclusively for use with playstation console. > This cable can be used with TVs and has component video inputs (Y,Cb/Pb. ). External Hard Drives, ETC. Female care. Male 'A' Plug to 1 x Male Mini B 5 pin Plug. Ending Soon. or rapid transfer files to or from a wide variety of portable devices. USBv2.0 A to mini B 5 pin High Speed Cable. Length: 1m. Our USB Cables are a high quality shielded 28awg Cable. They are 4mm thick. Connectors: 4pin USB Type A-male to 5pin USB Type B Mini-male. We assure you that we will try our best to satiate your needs and resolve issues. We generally solicit your whole hearted support in this endeavour. 1x AV cable. Cable length: approx 1.5 m. This Cable Will Work With. Sony AV jack to 3 RCA phono. Connect your console to any TV/monitor with the AV to RCA, Video and left/right audio. 3rd party product, not an official Sony item. Cable length: 1.8m. This does not affect your statutory rights. Compatible with PAL console only, not for NTSC. RCA to AV Audio Cable. Simple as that. Audio left and right (White and Red). Video Jack (Yellow). Best value for your money. We will try our very best to resolve the issue professionally on a priority basis. Usually it takes less than a week. Your item will usually be dispatched within 48 hours. USB Cable for charging compatible USB Hardware. 1x USB cable (A - mini B type). speak to us first and we will do our best to solve your issues as soon as possible. Good build quality USB cable made to highest spec. 1x USB Cable. 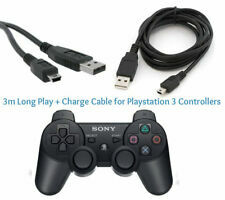 PS3 USB CHARGING CHARGER & PLAY LEAD FOR SONY PLAYSTATION 3 CONTROLLER PSP. External Hard Drives ,ETC. Female care. Male 'A' Plug to 1x Male Mini B 5 pin Plug. Ending Soon. OR rapid transfer files to and from a wide variety of portable devices. USBv2.0 A to mini B 5 pin High Speed Cable. Ending Soon. This will help us to know that item has arrived safely in your hands. Within UK . > Cable length: 1.8m. > Support 1080i / 720p HDTV system. Equipped with a PlayStation A/V connector on one end and an S Video connector with stereo audio on the other, S Video Cables are capable of supporting up to 480i standard resolution using an analog signal. 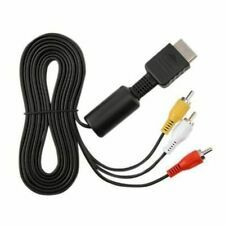 This is theComponent HDTV AV High Definition AV Cable for Playstation 2 & 3. 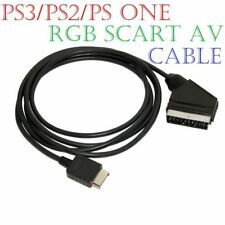 This Component AV cable is exclusively for use with playstation console. This cable can be used with TVs and has component video inputs (Y,Cb/Pb. ). A composite video lead with three phono/RCA connectors to connect PlayStation consoles to a TV. Suitable for all models of PlayStation, PlayStation 2 and PlayStation 3. Sony PlayStation AV Lead Kit. Connectors: 4pin USB Type A-male to 5pin USB Type B Mini-male. Our USB Cables are a high quality shielded 28awg Cable. They are 4mm thick. USB v2.0 A to mini B 5 pin High Speed Cable. Type: Mini USB Cable. pc Mini USB Cable. MP3 / MP4 Player. 1 x Male 'A' Plug to 1x Male Mini B 5 pin Plug. Ending Soon. Colour: Black. USBv2.0 A to mini B 5 pin High Speed Cable. Add to Favorites. This will help us to know that item has arrived safely in your hands. SmartPhone Accessories. Enables displays with natural and VIVID Colors. Tablet Accessories. Garmin Accessories. Fitbit Accessories. > Good build quality USB cable made to highest spec. 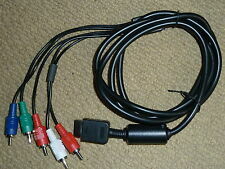 This is the Component HDTV AV High Definition AV Cable for Playstation 2 & 3. 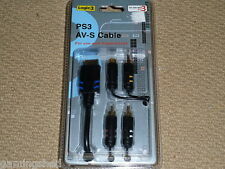 ￭ This Component AV cable is exclusively for use with playstation console. ￭ This cable can be used with TVs and has component video inputs (Y,Cb/Pb. ). This lead is high quality strong and flexible cable and has a non-rewireable, fully moulded plug. 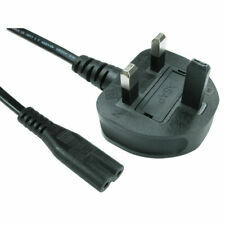 RoHS Compliant moulded UK plug with integral fuse. Plug: UK fuse rated 5A @240V AC. Connection: UK plug to standard C13 kettle lead. 2 Year Warranty. Sold by UK gaming professionals. Red and white cables are used for stereo audio and the yellow for video. Ending Soon. Travel & Outdoor (36). Burn extra calories while aerobic conditioning. Cable length: approx. Phone Covers & Cases (67). High-quality PlayStation AV Cable. Bluetooth Headsets. 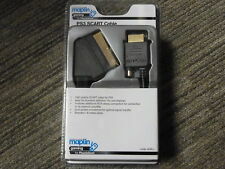 SONY PS3 POWER SUPPLY KETTLE LEAD. 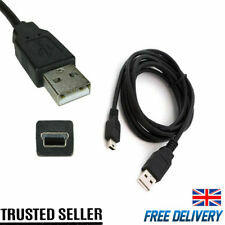 1x Usb Male Mini B 5 pin Cable. Connectors: USB to Mini USB 5-Pin. Connectors: USB to Mini USB 5-Pin. 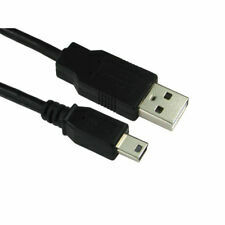 USB 2.0 Cable, Type A to Mini 5-Pin Type B. Color: Black. PLAYSTATION 1 2 3 PS1 PS2 PS3 RGB SCART TV CABLE LEAD + AV CONNECTORS BRAND NEW! 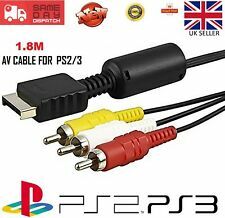 PLAYSTATION 1 2 3 PS1 PS2 PS3 COMPOSITE & S-VIDEO AV TV CABLE LEAD LEAD - NEW! PLAYSTATION 1 2 3 PS1 PS2 PS3 RGB SCART TV CABLE LEAD + AV CONNECTORS NEW!